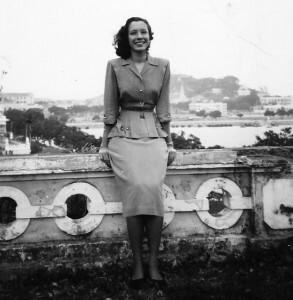 Joan’s Shanghai is a memoir of a childhood in Shanghai in the ‘30’s and ’40s of the 20th century. I am primarily writing it for myself, extending it to my friends, and now to the many people who have shown themselves fascinated with this period in the past. Please sign up here to be notified of new postings. The only casualty was Ruby, the most beautiful and glamorous of the Harvey sisters. 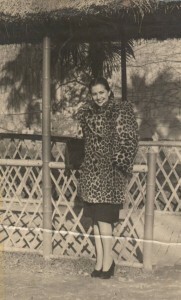 Ruby had had many lovers, a full length leopard fur coat and a wardrobe of party dresses. I remember her looking fabulous in that boxy coat at a time when fur was in style. 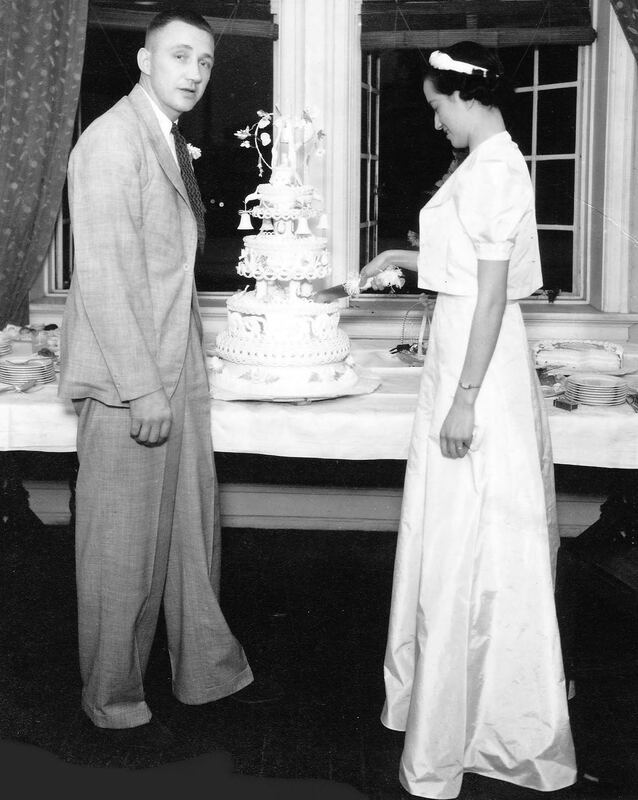 She dressed beautifully, and always had a handsome boyfriend. But eventually she and an American army lieutenant fell in love. 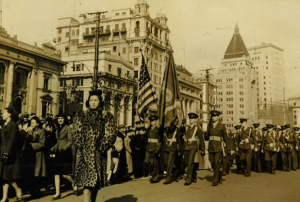 The war forced them to part in 1941, and she was at the dock in her leopard coat to kiss him goodbye as he went off to battle. He returned, as promised, as soon as the War ended. They had a passionate reunion, but he then confessed that he could not marry a Eurasian girl, or he would be expelled from the army. In fact, he admitted that he had become engaged to a girl in the US. Soon after, Ruby contracted spinal meningitis and died in the hospital a few weeks later. She was twenty nine. “She turned her face to the wall,” My mother said, in tears, “she did not want to live as a cripple. She did not want to live without the man she loved.” Her lover returned to the US with an armload of photos and memories; of himself and Ruby at parties, at the beach, horseback riding, hiking, traveling to Tsingtao, always hugging and kissing each other, always inseparable. The U.S. military had zero tolerance for mixed marriages. Many intelligent, well educated and beautiful Eurasian girls were abandoned by their gallant boyfriends in uniform. 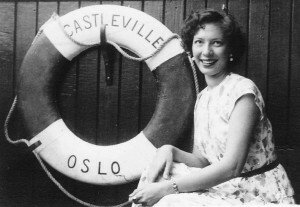 Phyl and her English husband took off for Australia, but all Jack found there was menial work and lodging in a hostel. 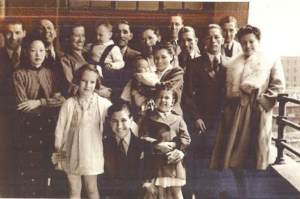 “We didn’t feel welcome; there was no place for us to grow.” They then shifted to England and also had a hard time, in a country that was taking many years to recover economically from the war. 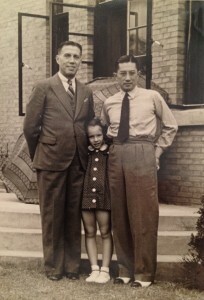 Jack decided to try Canada, and sent for his family, which by then included another son, as soon as he found work in Guelph. They finally ended their circuitous journey there, and the farm they acquired is still in the family today. Jack was a strong, hardworking, hard drinking English country boy from Lancashire. 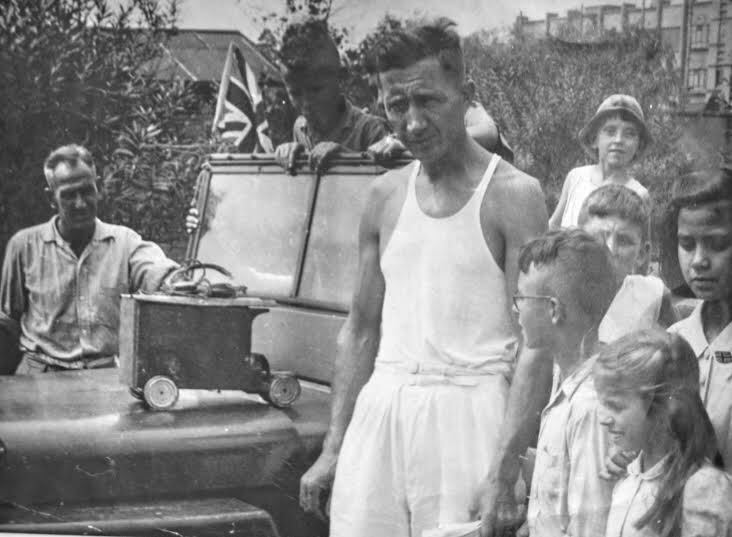 He had been a head jail warden in Shanghai, and had executed a few criminals with one shot to the head “we had to save on ammunition.” In Canada, in addition to his job, he hunted moose and volunteered to train teenagers in survival skills. I remember visiting the farm, and being taken to the basement, to view in the gigantic freezer, Jack’s meat storage. “I got six hundred pounds of meat from that one moose,” he proclaimed. He shot deer in season, aged, prepped and stored the meat. One son, John, also had a farm, where he and his wife bred chickens, and had a yearly gathering of friends and family who formed an assembly line to slaughter, de-feather and cut up a couple of dozen birds. Everyone went home with the best tasting chicken imaginable. John had retired as a senior pilot for Air Canada, and was able to indulge his fantasy of being a farmer. 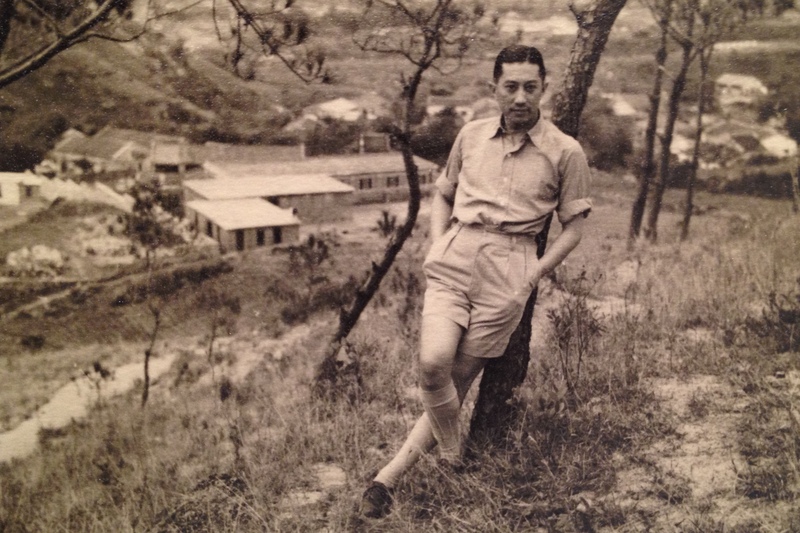 Phyl, Jack’s wife and John’s mother, who we may recall having a manicure while snoozing in bed back in Shanghai days, had her part in this bucolic scenario. She became a champion maker of pot stickers. If there ever had been a contest, she would have won it hands down. She would start with huge amounts of dough, pork, shrimps, mushrooms and so forth, and rapidly turn them into rows and rows of dumplings, a shot of whisky by her side. There was a system where these were stacked and also stored in the giant freezer. Jack installed a generator down there to avert a possible power outage. My father ended up in Hongkong, as well, and acquired a new family, consisting of a well off Chinese widow and her teenaged children. He never revealed this to me or my mother, who kept waiting for him to join her after she left Hongkong for England and later for the US. One day, after I was notified that my Dad had died, I got a long letter from a girl with a Chinese name. She outlined a story where my father had befriended her widowed mother and her two brothers and herself. He lived with them and had become their beloved second father. He saw them all through school and university. She wrote “he always spoke about you as the most wonderful girl in the world. You were the person he loved most of all. He kept your photo on his bureau. I would look at it and think how beautiful you are, Joan!” This was the first I ever heard of Dad’s second family. In letters, he had implied that he lived alone in a small flat…that was why whenever I threatened to visit him in Hongkong, he explained regretfully that he couldn’t host me. This letter knocked me flat. I couldn’t even bring myself to reply. I was angry at first, but over the years I have come to terms with this man, who really did love me in his own way, from a distance. I’m glad he spent his later life with an appreciative family. The only thing he and my mother ended up having in common was arthritis, quite severe in her case. At the age of seventy, I suddenly developed very painful, creaky knees, and realized this was their gift to me. 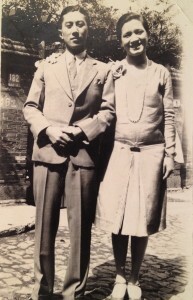 The youngest brother, Ed, met an American nurse in Shanghai. He and Ellen married, went to California, had four children, and spent the rest of their lives in a sprawling house in a typical American suburb there. I peregrinated from China to the US, acquiring US citizenship through marriage, then lived in California, New York, Honolulu, Paris and Bristol, England before definitively settling in New York City. I finally feel I am in right place for a wandering soul to settle down. The War seemed to end suddenly. The Japanese vanished from the camps overnight, and the dazed internees straggled out to salvage their pre war homes which had been stripped and vandalized by the occupiers. 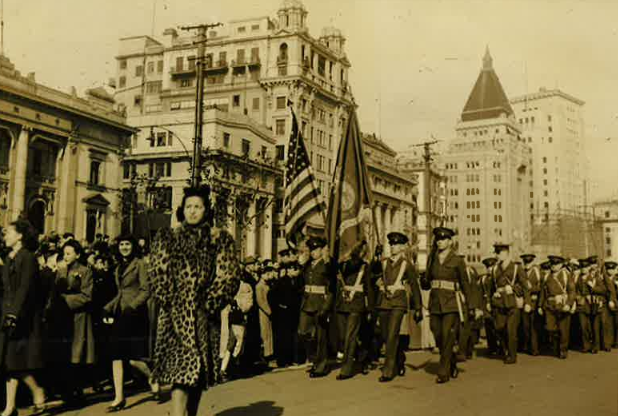 American tanks full of cheerful soldiers rolled through the city, and people lined the streets, greeting them joyfully. It was a moment full of hope, a brief period after one occupation and before another. The Communists were already heading for Shanghai, but at that moment, few grasped what the future had in store for them. The Americans rained down K rations full of Hershey bars, chewing gum and cigarettes on the happy spectators. The GI’s hauled kids up onto their shoulders, and jumped down to the street and shook hands with and were hugged by grateful people. Not long after, the motley Eurasian nation began to realize it had to make some definite moves. 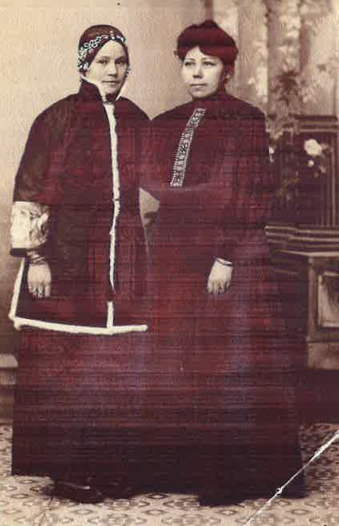 The Leitao family and their friends moved to Macao, some to Portuguese colonies in Africa. 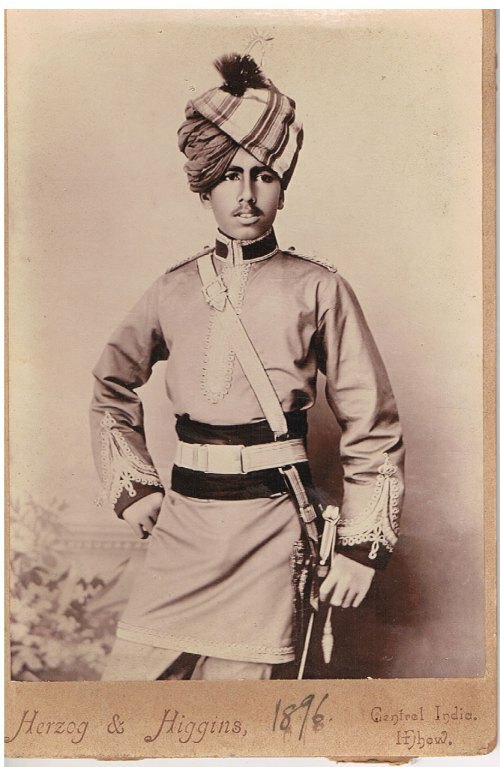 Anglo Indians made their way to England. 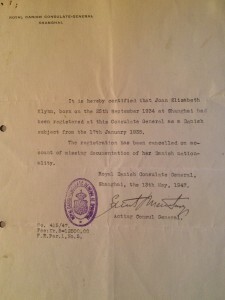 The extended Klyhn family received notice from Denmark that they were no longer Danish citizens. Always quick on their feet, they began their moves in different directions. 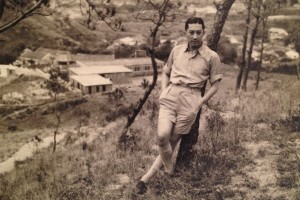 Lawrence and his family were sponsored by his British citizen brother in law, Robert, to emigrate to England. I missed my cousin, Freddie, who had shot up in height like I did. We didn’t do fist bumps in Shanghai back then, but whenever we met, we grabbed each other by the shoulders and did a hopping dance of recognition. We were watched by his brother, who could be counted on to intone “Good things come in small packages.” Larry was short and stolid like most of the other Klyhns. Peter and his family were sponsored by an Australian cousin, Eddie, and moved to Adelaide. 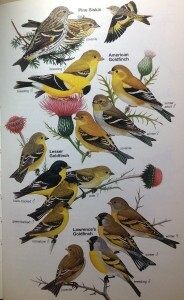 They had lived in a five storey house in Shanghai, and Peter had turned the top floor into an aviary for his finches. How could anyone forget trudging all the way up the narrow stairs, arriving at an ordinary looking door, going in, closing it tightly, and opening another door, and suddenly finding oneself in a magical kingdom . The whole floor was one brilliantly sunny room with windows all around. Hundreds of tiny, beautiful birds flew all over the place, singing, chirping and perching at food stations. They bathed themselves in suspended water bowls and flapped their wings gleefully afterwards, scattering motes of water which were caught like diamonds in the sunlight. They would get into scuffles with one another, and sometimes landed on your head or shoulders, if you stood still. 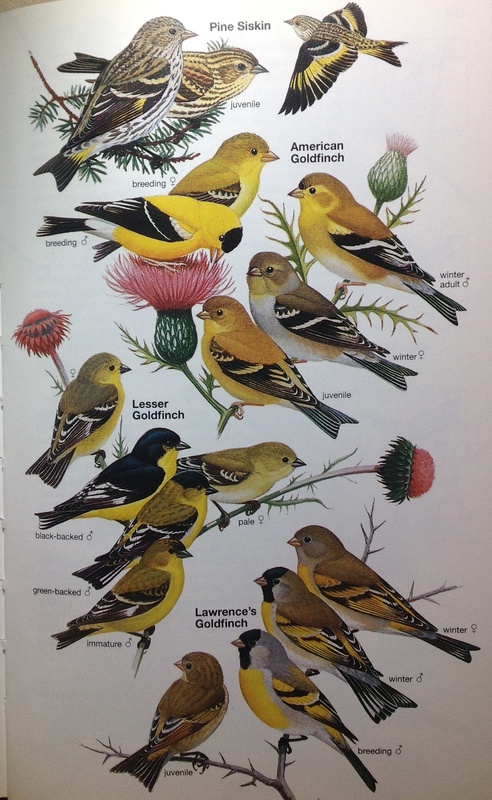 Uncle Peter loved showing off his birds, especially to children. He had another surprise that got us all laughing and screaming hysterically; he would get up close to you and snap out his rack of false teeth. Harry, as reported by my cousin Ron “was the most Chinese looking of the lot. 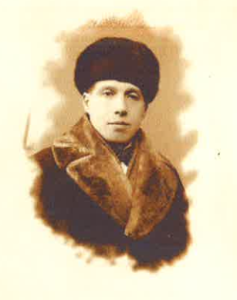 He became a Communist and went off to Moscow, reason unknown.” This Harry married, changed his name to Li, moved to London with his wife and three children, and became a successful lecturer on Chinese customs and literature. 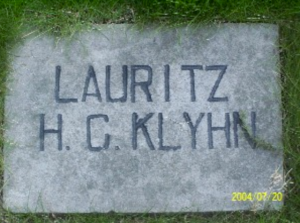 The story of this ex Klyhn and his family is a mystery to me. 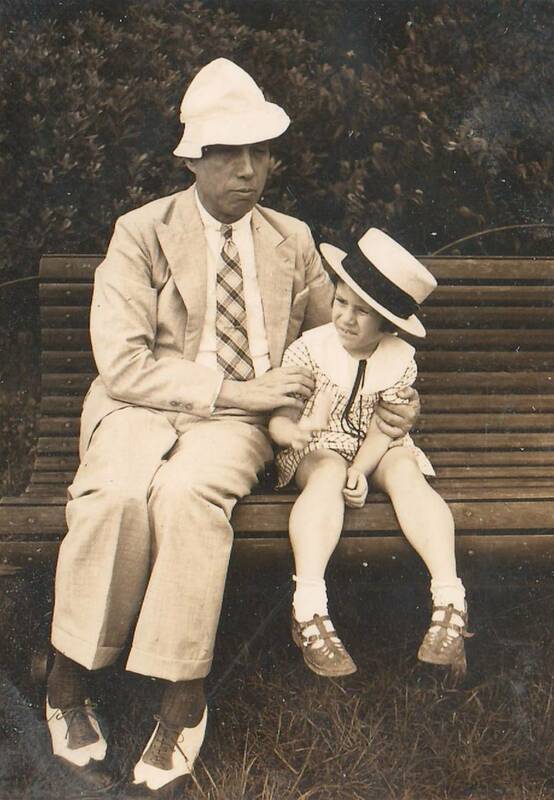 My father, Hans, decided to stay on in Shanghai, and offer his services as an experienced businessman to the new regime. Eurasians were NOT welcomed by the new regime. Dad would be expelled and our property confiscated. My mother anticipated this, reverted to her original British nationality, included me, and took off for Hongkong, literally on the last Pan Am plane. We stayed at first for a year with friends in their decaying colonial mansion in Macao. All we had was a suitcase each. The seats had been taken out of the plane, and the passengers huddled on the floor, crowded shoulder to shoulder, holding onto their meager belongings. 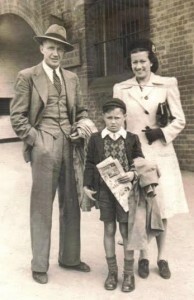 The Harveys had all been interned as British subjects. They were in poor health at first and almost destitute and disoriented. In later years, their British citizenship would also be rescinded, but by then, they had managed to hopscotch their way to new countries and new homes. The family was well off during my childhood. My father was successful, and my mother soon gave up her secretarial jobs. At home, she carried around a thick notebook, and any servant making purchases for the house was examined and cross examined, with weekly prices compared and noted down, stern accusations and frequent firings. Hong was recalcitrant, of course. My father would always make up the difference later with Hong, and sometimes with other servants. This was another aspect of the battle between my parents. My mother accused everyone doing paid work for us of padding their bills, taking cumshaw, or rake offs. Dad was always in the background, playing the good guy. He always had a full billfold, and dispensed money freely. “They have their hands held out; they ask for loans which they never repay. Hans, they see you coming!” my mother would say, “Wait till you’re down and out. They won’t even know you then.” She was right about that. “Your mother used to pinch your nose all the time when you were a baby,” Phyl said, “she thought your nose was…” What? Too flat, too long, too wide? I never knew exactly. I was another disappointment. My cousin Sylvia was her perfect little girl. I was way too big. My feet were compared to sampans. “You have to stop growing!” my mother exclaimed. But I kept on until I reached the unheard of height of five foot ten inches by the time I was thirteen. Another job was as secretary to the CEO of a top American cosmetics company. Here, her job among other responsibilities included buying expensive gifts for wife and mistress. “I was always smartly dressed as I visited expensive jewelry shops guarded by armed Russians. After a while, they knew me, and winked as I went in with my bag full of cash. I got to select this for the wife and that for the girlfriend, peeled off thousands of dollars and made sure there were no mix ups. My boss trusted me to choose whatever I thought was the best, and I must say, I never made a mistake!” My mother was so appreciated, that when this employer returned home before the Occupation, also leaving largess to her, he said, on parting “If you decide to come to Los Angeles, you will make top dollar working for me!” In fact, she did many years later, worked for him for quite some time. But she was never happy. Nothing was ever right…from the very start. Divorce was not an option back then, but my father managed to slide away from her. 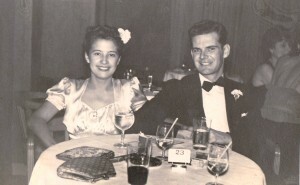 She left Hongkong for England, and he was meant to follow, but he kept putting it off, and never rejoined her. I had left for the U.S. for college not long before, and never lived with her again, either. My mother wandered, from England, where the climate affected her arthritis, to Los Angeles, where she worked till she retired. She then moved to Guelph, in Canada, where her sister Phyl had settled with family. Phyl was twelve years younger than Di. She told me “I don’t know what would have happened to us kids when our Dad left Shanghai, if your mother hadn’t taken us on. She gave up everything to take care of us. We weren’t grateful then. We didn’t understand where all the money and servants and the house and shop went. Di used to work till the evening, and then come home with a splitting headache, yell at us, and go to bed until she had to get up the next morning to return to work. And she was just a kid herself!” Phyl was the only person who deeply cared for my mother, and actually took care of her until she died. 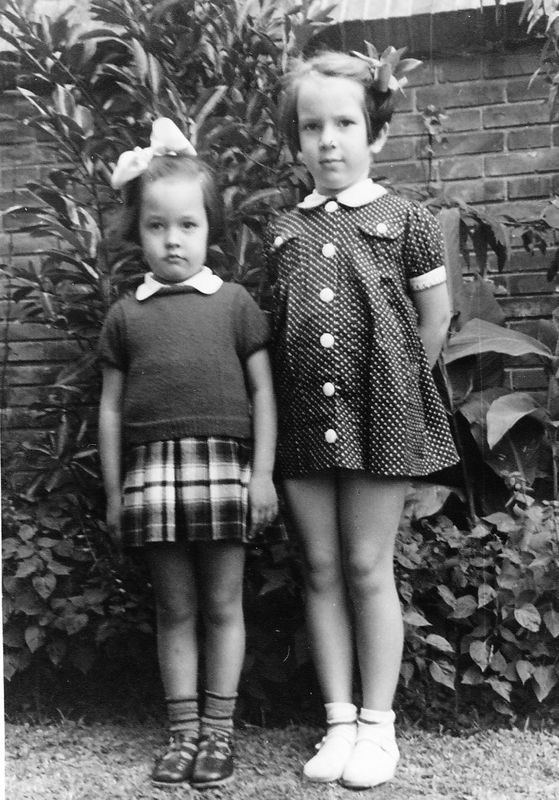 I saw my mother rarely, and when I did, it was always a disappointment to both of us. She was dying when I saw her last. She lay in her hospital bed, a tiny, wizened woman. All her anger seemed drained out of her, and she murmured “How are you, dear?” She did not resist when I leaned over and gave her a hug. “You look very lovely, dear,” she said, for the first time in her life. My mother was an angry woman all her life. She was the first born child of Mary and James Harvey. Mary could not have another child for eight years. It was a son, finally, but my mother bore the brunt of her rage for those eight years of frustrated waiting. Daisy (a sweet name for a despised child) was forced to wear boy’s clothing. Mary was more Chinese than Western, so she subjected Daisy to various spells and curses. She dragged my mother to the temple, burning countless joss sticks. “She begged the gods to take me in exchange for a boy…I was right there, next to her. She dragged me to the altar!” Daisy’s life was offered up once more, when her baby brother was accidentally dropped and injured. My mother insisted I chew several quarter sized calcium tablets every day when I was a child. “When I was five years old, Amah found me under my bed, eating the plaster off the wall. I was seriously lacking in calcium. And that’s NOT happening to you!” She told me her beautiful mother had the servants keep her homely child out of her sight. “I spent most of my time in school. Western school daytime, and Chinese school until evening. My Chinese writing wasn’t good enough for her, so she set a heavy book on my arm. I had to hold the arm up parallel to the page and keep writing.” At eight, my mother had a nervous breakdown and was no longer able to attend Chinese school. She made up for it by excelling in typing and stenography, not realizing that her future would be to support the family with these skills. I couldn’t dispute this at the time, because for as long as I could remember, my parents had a relationship of bitter arguments and long silences punctuated by fancy social occasions. They were miserable together at home, but were animated and beautifully dressed at their many parties at the Club, at home, or at friends’ houses. After a party at home, my mother would grumble “did you see Harold filling his cigarette case in the living room, as usual?” My dad, who had been the life of the party, was deflated afterwards and just shrugged. He would disappear into his rooms. Doors closed. By the time I was born, my mother had been through a few breakdowns, and was absent for the first six months of my life. 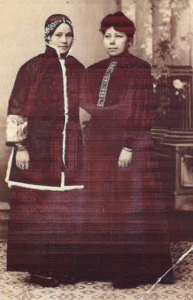 I had a buxom wet nurse, Mei Lee, who lingered in the family for several years. My mother eventually fired her, suspecting my father of liking her too much. Old baby photos show my mother holding me, but I have little recollection of physical contact with her. My father was always good for a hug when he was around and my grandpa loved playing with us children. 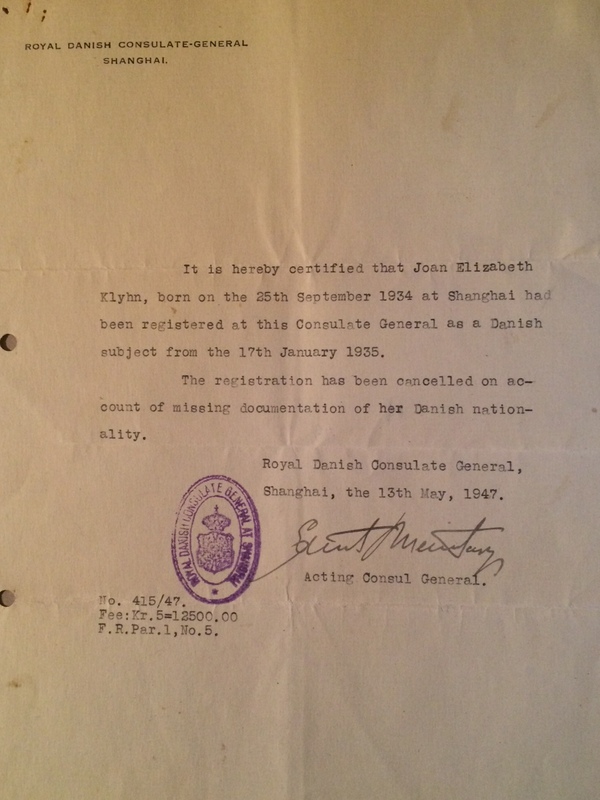 In 1947, the Royal Danish Consulate General issued the following notification to each member of the Klyhn family in Shanghai, about 14 of us all together. In an instant, the six foot four inch Danish father and grandfather, originally from Schleswig Holstein, faded into irrelevance, and we became stateless. What had happened? I try to trace this back, and this is from my cousin, Ron, now settled in Vancouver, Canada. “My grandfather, mother’s Dad, left Schleswig Holstein at the time that local residents had to register whether they wanted to be German or Danish. He was on the Trans Siberian Railway on his way to Vladivostok, so he knew nothing of this requirement. This caused the Klyhn family to become stateless”. 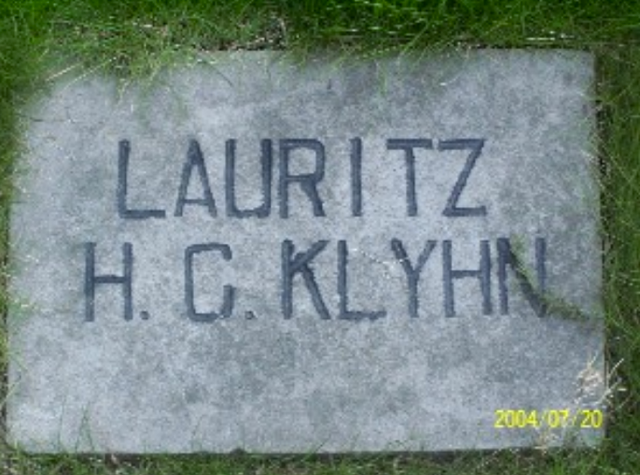 No one could question Lauritz Klyhn as to how and why he happened to be on his way to Vladivostok, as he died suddenly in his forties while on the job at the lighthouse, and was buried in Amoy, leaving 5 children under the age of 10 and an illiterate Chinese wife, who, however, he had married legally. Next, I turn to James Harvey, my other grandfather. He was married to Mary, who managed their dry goods store on Szechwan Road. They had seven children, but Mary died of septicemia while giving birth to their last child, who died at the same time. James didn’t even stay for the funeral, but packed up and immediately got onto a ship for Harbin. He vanished for nearly ten years. The house, the shop, the horse and carriage and its mafoo driver, the box at the Chinese Opera, also all vanished shortly. My mother took a job as a stenographer at the age of sixteen, and with the help of her Chinese grandmother, took over and managed the little family. So, a sixteen year old girl and her granny pulled the little family together. Ed, the youngest, who was only two when his Dad decamped, always resented my mother’s strict regime…”All I got was a plate of leftover carrots or beets for supper if I came home late from school. And she was a slugger, too!” Di worked hard, and granny cooked and cleaned. Di had had a harsh and loveless childhood herself. All she knew was the self discipline learned from writing Chinese characters with a heavy weight on her arm. The family was another burden she had to bear, and loving did not play a part in it. So, under her care, another lot of penniless Eurasians got a good charity education from Christian missionaries and gradually rejoined the middle class. After about ten years, Ja mes Harvey resurfaced, broke, but ready to rejoin his family. Why exactly did he have to leave, what exactly did he do all those years away; he never said…he seemed diminished, chastened on his return. He hung around, making himself useful in the households of his various children, and beloved by their children. James was a tall, handsome man, but not clever. He got along with children, as he was like a child himself. Jack and I, and our 5 year old son, John, were tagged and housed together in a cubicle room at Yu Yuen camp. We shared our hut with the Currie family. 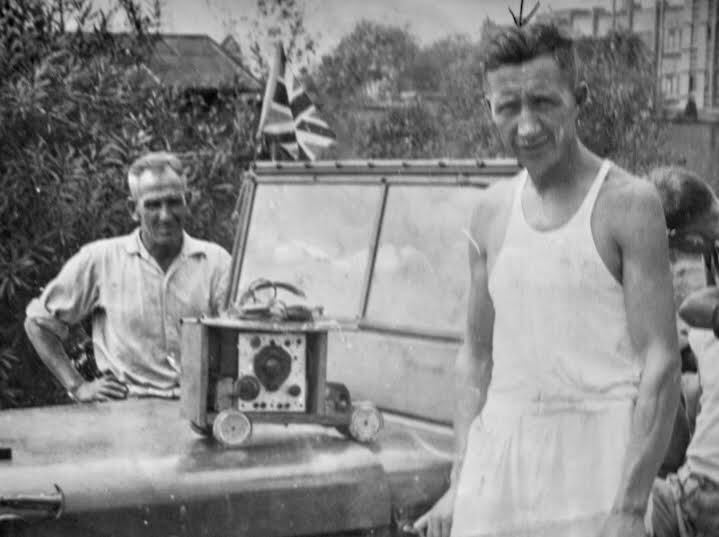 The Japanese found out that John Currie was an amateur radio enthusiast and ordered him to repair their radio sets; all of ours had been confiscated, of course. While John was repairing their equipment, he gradually stole enough parts to build a short wave receiver. A Chinese mem ber of the Shanghai constabulary smuggled in the valve for the set, and a wire curtain rod was used as an aerial. The wheels were milk can tops. John was able to build the radio set into a small framework, which when closed would appear to be a child’s toy truck. My son and the Currie daughter played with the truck on the porch of our hut, right in front of the Japanese guards. In the evening, we posted the kids outside the hut to watch for approaching guards. Meanwhile, I kept the set inside and took down, in shorthand, the 6 pm news from General MacArthur’s headquarters in Australia. I’d transcribe them into longhand and circulate the bulletins among the internees. The Japanese were suspicious, of course, and constantly searched, inspected and counted everyone. They would turn all lights off for days, leaving us in total darkness. Was I afraid for myself and my family? Sure, I was petrified as I watched my boy walking around with his truck. But we did what we did to survive with dignity. We organized schools, sick bays, sanitation and entertainment. We even had a piano until one night a Japanese guard interrupted our concert by unsheathing his sword and slicing through the piano chords. But we kept on with our music; someone had a harmonica! We were obsessed with food, or rather, the lack of it. The Red Cross sent us packages, but we rarely got them. When there was a measles epidemic at the camp, the Japanese commandant issued each child one egg. Some weevilly rice appeared now and then, and we knew we had to consume the bugs for protein. Any valuables we had, we traded with Chinese outside the camp, which was only sealed against our escape. Items could be passed back and forth, including parcels from friends and relatives on the outside. My sister, Di, could always be counted on for unusual concoctions; she had the best of intentions. We soaked and ground up soybeans and corn used for animal feed; we could buy sacks of these cheaply. The soybeans we turned into milk, high in protein, and the corn into a mush, not worth recollecting . The human body can stand an awful lot, we learned that. I don’t think anything else that could happen to me now would bother me because we hit rock bottom then. When you are cold, hungry, and in the dark, not much else could happen to frighten you. 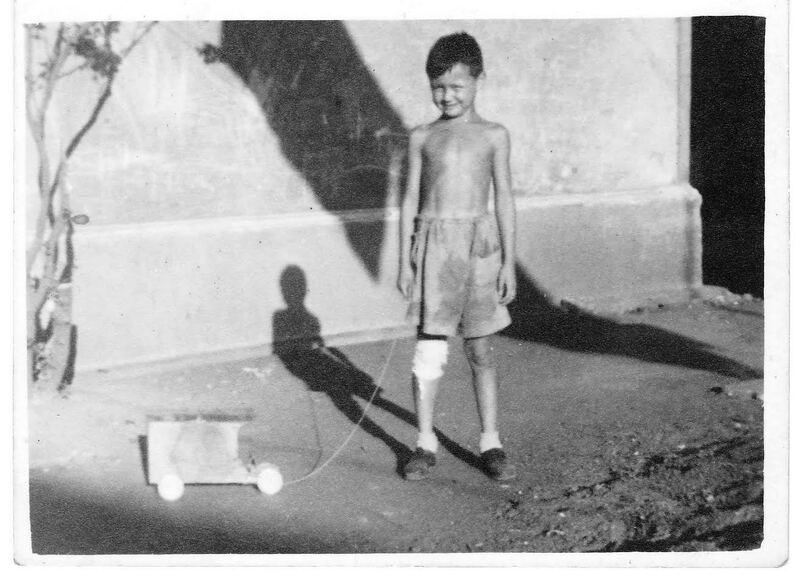 We heard later that my brother, Ed, only twenty when he went into a different camp, in Pootung, had kitchen detail and was put in charge of keeping the fire going for cooking. Ed was always ready for fun and high jinks, and secretly paid the coal guy to smuggle a bottle of cognac in the coal. Probably not that often! We also heard, sadly, that the Japanese closed down the popular Canidrome, and slaughtered the greyhounds for food. Ed managed to get some of that meat for his group. Tough and stringy as it was, he claimed it tasted a lot better than the rats he used to trap. Crisp fried cockroaches were a tasty snack, rich in protein. We all suffered from malnutrition when we got out of camp. 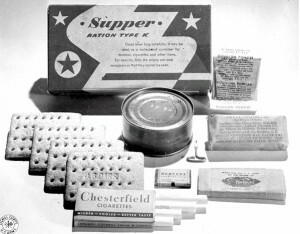 The American forces showered us with K rations, which included milk powder, canned butter, processed cheese, Spam and Hershey bars, and best of all, cigarettes, which we hadn’t seen in years. We gorged ourselves at first and got quite sick until we learned to pace ourselves. 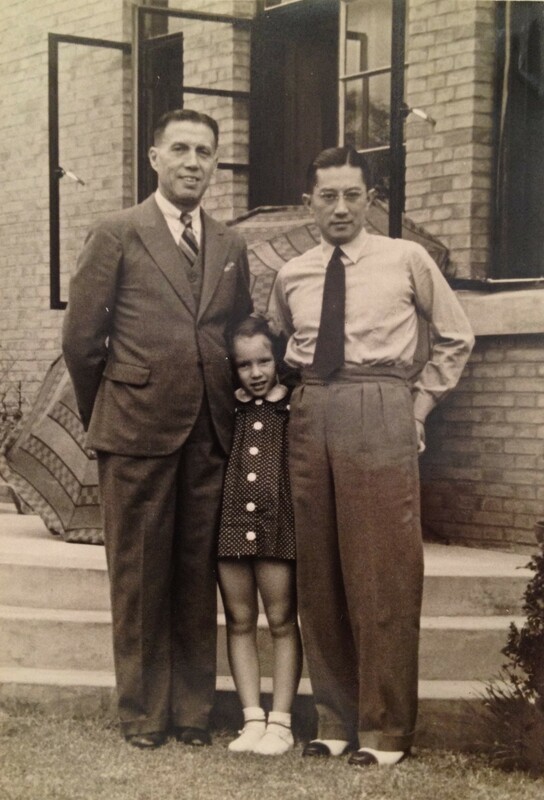 Our prewar servants, Hern Ling, our son’s baby nurse, and her husband Bing Sung, previously our handyman, who later became a construction foreman, met us at the gate of the internment camp as soon as it opened. They immediately took care of us. They cleaned our filthy, emptied out apartment, washed our clothes, cooked our food, did our shopping, etc. We were a pathetic, sickly family at first. They were at the wharf to see us off when we left Shanghai soon after for Sydney, Australia on the AMS Reaper. This began our circuitous journey through three continents. We were all in tears. We had no money to give Hern Ling and Bing Sung, as we only had twenty five dollars to our name. We never saw them again. A week after the Japanese occupation, a group of armed militia arrived at our house on 36 Boissezon and conducted a thorough search of the premises. What they found of interest was a stack of copper pipes stored in the flood cellar. These were to be replacements for some old piping. Six small, pungent bags hanging from the rafters also intrigued them. One fellow stabbed a bag with his bayonet, only to puncture and knock down one of Aunt Grace’s brandy soaked Christmas puddings, which needed to age until Christmas. They poked around some more, but turned up nothing but a couple of old bikes. 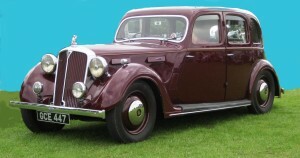 Luckily, Wang, our chauffeur, had not yet dismantled our Rover sedan, or the parts would have probably been confiscated. With some ceremony, the Imperial Seal was stuck onto door to the cellar, over the jamb. We were told not to remove it under any circumstances, or we would suffer serious consequences. All the servants were called to witness and then the group marched off. The seal itself looked like a sheet peeled of a book of cheap notes. The pattern was impressive, but the quality of the paper was flimsy. Countless thousands of these seals were posted all over the city, over doors, cabinets, closets, drawers, to prevent their owners from accessing their possessions. 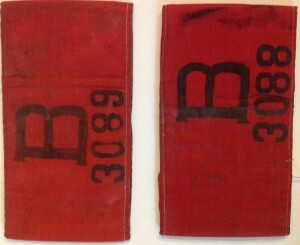 They were only removed when the occupiers decided to confiscate the contents. Our large second home on 131 rue Boissezon had been requisitioned and occupied by the Japanese military, so none of us at 36 were upset about a few copper pipes stored at 36. Life went on. Some time later, as I was killing time in the garden, throwing a stick for my dog or trying to catch one of our chickens, I noticed a peeling scrap of paper on the cellar door. It had been rained on and was undecipherable, at least to me. So I scraped it off and wiped the door jamb clean. Before I knew it, I was surrounded by yelling servants, followed by my mother. “How could you be so stupid!” she shrieked, not for the first or last time. So a court day was arranged. I was to appear before a judge, to tell my story. I wore my best, a dress with a ruched bodice made by our English dressmaker. I had suffered plenty already from the pins thrust by Miss Rudge into my chest through the ruffled batiste. “Such a broad chest for a child her age!” she sniffed and, “Hold your stomach in!” She was actually trying to change my shape as she fitted my dress, without success. I was going on seven years old. We arrived at the courthouse. It was a famous building, Marble Hall, a pretentious mansion on Bubbling Well Road, requisitioned from the Kadoorie family. It lived up to its name, as the floors, walls and various columns were all varieties of marble. The Kadoorie furnishings had been removed, and the place was fitted as a military courthouse and echoed with the sound of boots. Dad held my hand tightly. “Don’t be nervous. Dad’s not going to let anything bad happen to you.” I must have looked miserable, so he added “Cheer up! I have a surprise for your afterwards.” My mother rolled her eyes and stayed home. Suddenly the judge leaned over his podium. “How so young so high?” He actually smiled and spoke in English. I don’t know how I replied. He and the interpreter chatted for a few minutes, and then I was told to go home. It was over. Our rickshaw was waiting for us outside. My father told him to take us directly to Kiessling and Bader, the celebrated German patisserie. I was still clutching his hand tightly as we sat at a table. “How about a chocolate éclair?” he asked. I nodded. “A cream puff?” “Yes, please.” They certainly didn’t stint on whipped cream. It was all over my face when I finished the second cake, and then threw up the whole lot over my ruched bodice right there in the restaurant. 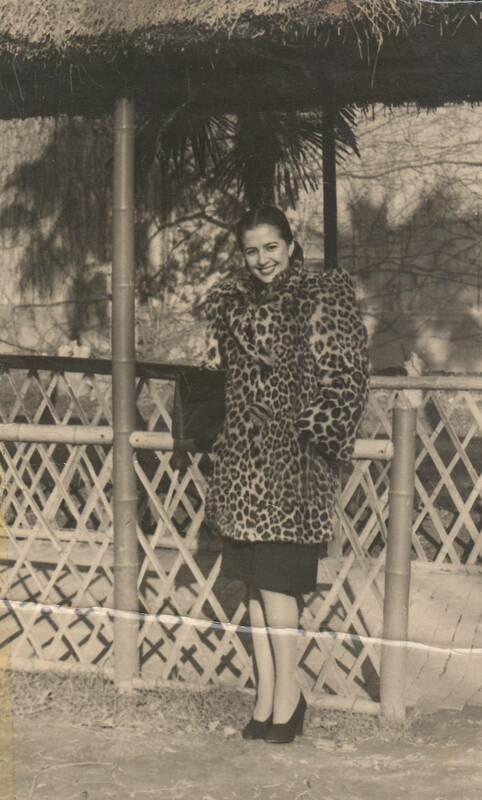 My mother’s mink coat was a very big deal. It was an expensive anniversary gift from my father; full length, luxurious and lined in satin. In the lining, dozens or maybe hundreds of mink tails were sewn in, in semicircles. Was it to prove how many minks died for my mother’s pleasure? I never found out, but I recall creeping into her closet when she was out, and wrapping myself in the coat, and playing with the tails and imagining I was tobogganing through the Arctic wrapped in fur. But this not my story; it’s about how the coat happened to be in my aunt’s apartment when my mother absolutely had to have it and sent my ever patient father out to retrieve it. As he tells it: “I was halfway home and just forgot about the blasted curfew when the sirens went off. The streets emptied out and there I was, hauling the huge coat, when suddenly the Japanese military appeared all around me. They weren’t joking; they had their bayonets out, they were yelling …I thought I was a goner, when suddenly their commandant appeared. You won’t believe this!” I clung onto my Dad’s knees. He had just come through the garden gate, and had dropped onto the steps to the house. 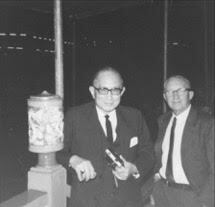 Mr. Ogawa had been one of my father’s closest business acquaintances pre-war, also a drinking partner. They had even gone to Japan together to climb Mount Fuji. He and Ogawa had wanted to turn back half way but it was impossible. An impenetrable human chain, behind and in front, forced them to slog to the summit to meet daybreak. This experience was shared often with friends over whiskeys at the Club. “Hans, what the hell are you doing out here” Ogawa exclaimed “You could be killed.” My Dad replied “I had to go and get Di’s coat. She had to have it; you know what she’s like!” Ogawa had to agree. He took Dad roughly by the arm, and shouted to the militia that he would take care of the situation, grabbed the coat and marched my father the three or four blocks to our house. “Don’t ever try anything like this, Hans. I can’t pull this off again.” Dad said he had to appear to be shoved or punched before being thrust through the door. “I really miss those evenings at the Cercle Francais with Ogawa and the other fellows” my Dad mused. The Cercle was the only Western club open to Eurasians and Asians before the War. 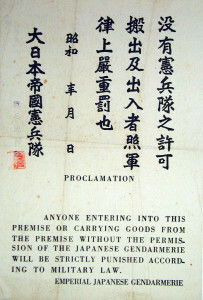 Shanghai was occupied by the Japanese from 1942 to 1945. I was ten at the end. The years in between, I was protected by my youth and my parents. They, in turn, were saved from internment by my father’s long dead Danish father. He died in his forties in Amoy, where he was the keeper of the lighthouse, leaving Ah Fang, his tiny Chinese wife, who, with her passel of children, somehow made their way to Shanghai and adulthood under the wing of Presbyterian missionaries. Everyone had Danish papers, a good Christian education and marketable skills as secretaries and accountants. The war to us meant rationing of certain products and avoiding the occupiers as much as possible. I enjoyed sorting weevils out of rice, and shelling peanuts which were really plentiful and turned into jars peanut butter by Amah. Dashing into shelters with creepy old men when sirens sounded was not as much fun. Explosions and shootings in the street…this was a part of life. My mother started to explore her interests in health. She had shocked our relatives early by swaddling me as an infant, in blankets and leaving me out on the balcony of our first home, the Embankment building on the Bund. “In the middle of winter! Can someone talk sense into the woman?” It didn’t help that I became bigger, sturdier and ruddier than all my cousins. Now during wartime, her American psychiatrist was interned, as were some of her bridge partners, who had British papers. Between my father’s business contacts, my mother’s network, and Hong’s country relatives, we managed to obtain some meat, vegetables and the nuts and seeds my mother believed were full of nutrition. My mother came to life during this time. She put up dozens of jars of peanut butter mixed with blackstrap molasses, another easy to obtain food, and we took these to our British relatives in the Yu Yuen road concentration camp. These uncles and cousins were all from my mother’s side of the family. The peanut molasses mix, which I really like to this very day, was considered by my mother to be a complete food to complement the wretched rations the camp dwellers received. After the war, every one of my interned relatives claimed they hated, even rejected this super food. But they all survived, minus teeth, and suffering other forms of malnutrition. At home, war meant that we all tightened our belts. Our beautiful maroon Rover with its dove grey upholstery soon lay in parts on the garage floor, while our chauffeur, who always wanted to be a mechanic, played at reconstructing it. His maroon and dove grey uniform, matching cap and shiny leather boots were stored in his flat above the garage. Gone was his spit and polish appearance, as he worked on the floor in oil stained undershirt and shorts and a pair of flip flops. Our spacious yard was divided in half, with one half turned into a victory garden. Our gardener composted our leftovers and produced amazing tomatoes and greens all year round. Our only casualty was Xiao Liu, who came home one day, collapsed and nearly died. The Japanese had ordered everyone to get shots against common infections, and once you got your jab, you got a certificate that you had to present when required. Many local men feared these shots would make them impotent….so…it was left to an entrepreneur like Liu to get multiple shots and to sell the certificates, until he collapsed in toxic shock. Liu survived, claimed someone had stolen his wad of cash while he was delirious. The cheapest and most efficient way of sending mail locally was by chit book coolie. Every commercial establishment had one or more. A ledger was used to enter the date, name of addressee, and address. The chit book coolie would then deliver the mail by bike, tram or foot. The receiver signed for its receipt in his company’s ledger. At our office, I would get in touch with my sisters or friends in this way. This was how, Jack, my boyfriend at the time, sent me notes from the police station where he an officer on duty. His messenger was a very tall Sikh Havildar on the mounted police staff. He wore a full uniform with a red/gold turban, red cummerbund, chain mail epaulets, spurs and hob-nailed boot, and would march solemnly to my desk and hand me the letter, my co workers trying to suppress their giggles. I would later see him riding in ceremonies with an upright lance. We knew each other well by then, I could tell he recognized me with a barely perceptible nod. Jack and I were in love and wanted to marry. We’d been together for two years. But first, as an Englishman, he was required to take home leave before he was allowed to marry. This was to encourage him to find a suitable girl back home to marry and to bring back to his post abroad. This system worked quite well, so I was afraid to meet the boat when Jack returned from leave. From what everyone told me, I was pretty sure he would have a wife with him. But, no, he didn’t and we were married soon after, in 1937. 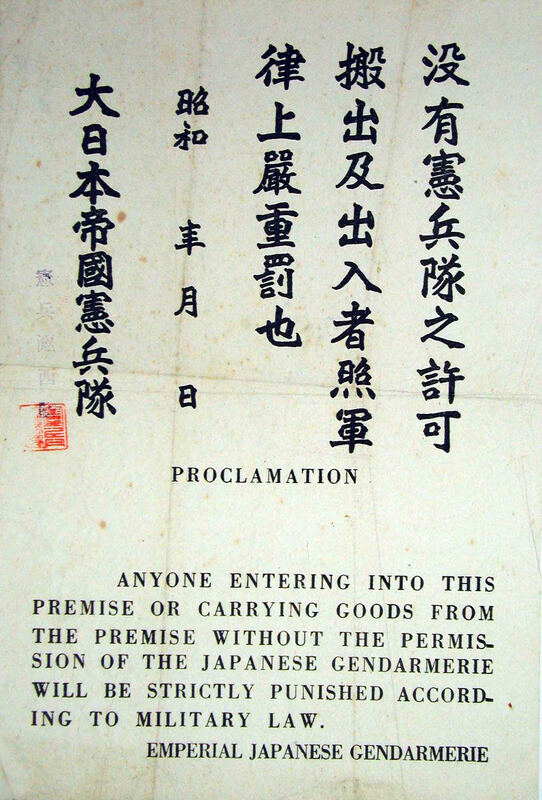 The Japanese occupation happened suddenly. We had wars every five years: 1927, the Nationalist vs. the Communists; 1932, Battle of Shanghai between the Japanese and Chinese, 1937, the Sino-Japanese War, and then 1941. We were used to wars, so one day we when we woke up and the Japanese were everywhere, we were startled but not surprised. What was surprising was the rapid and efficient takeover, obviously well planned. The whole city, including the huge 4,000 prisoner jail where Jack was employed, was occupied at once. 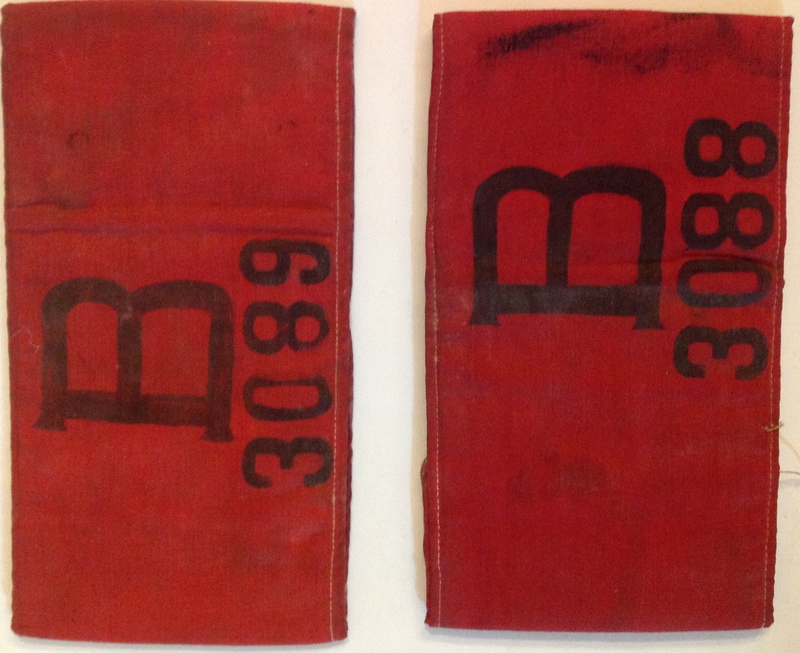 All enemy nationals were issued numbered arm bands which we had to wear at all times. For once, Eurasians, who had had to suffer lesser pay, lack of promotion and exclusion from clubs, were equal to the real Yankees and English. All enemies had to stand in buses, bow to Japanese and observe strict curfews. In fact, curfews applied to all foreigners. After a year of occupation, the Japanese opened internment camps on the outskirts of the city. Our homes were invaded by the military and all our cabinets and closets were sealed with the Imperial Seal to prevent us from removing their contents. These seals were flimsy strips of paper, but if disturbed would mean serious consequences. We were then herded in trucks with pretty much all we were wearing and taken to Yu Yuen camp. When the war ended, like many others we returned to our homes to find them completely stripped of every piece of furniture, everything. Our flat was an empty shell. We had to start all over, Jack and I and our seven year old son, John.